Many times I have heard people criticize churches and Christians for “shunning” someone. 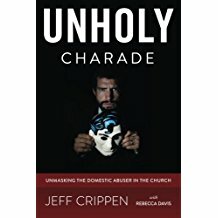 And in many of those cases the criticism is valid because the person being shunned is in fact a victim of some evil which the church refused to confront. Instead, they blamed the victim and threw them under the bus. Rom 16:17-18 I appeal to you, brothers, to watch out for those who cause divisions and create obstacles contrary to the doctrine that you have been taught; avoid them. (18) For such persons do not serve our Lord Christ, but their own appetites, and by smooth talk and flattery they deceive the hearts of the naive. 2Th 3:6 Now we command you, brothers, in the name of our Lord Jesus Christ, that you keep away from any brother who is walking in idleness and not in accord with the tradition that you received from us. I could go on citing more, but this certainly should suffice to prove that the Christian is to keep away from, avoid, and not even eat with certain people. Namely and especially, people who claim to be Christians but who are walking in evil and therefore are servants of the devil. This idea that shunning is always wrong and evil in itself is something that is often used to justify keeping the wicked in the church, enabling them in their evil. But to do so is to refuse to obey the clear commands of the Lord. For myself, I simply cannot understand why any real Christian would want to continue in fellowship with a counterfeit believer who has crept in among the brethren to destroy and harm. We are light in the Lord. Why would we want to associate and be bound together with darkness? Notice once again (you see it in the verses quoted above) that it is not the average, normal unbeliever that is the most serious threat to the church, though of course we are not to be intimately connected with them either. I count numbers of unsaved people as my friends. But I wouldn’t marry one. I socialize with them (as Jesus ate with sinners) but I realize that we are not at all on the same page when it comes to ultimate truths of God’s Word. Nevertheless, the greatest evil, the most wicked and dangerous person, comes to us disguised as a sheep, yet is a ravenous wolf. If someone claims to be a brother in Christ but in fact bears evil fruit as a regular pattern of his life, then that is the person to shun. So, yes, I shun certain people. Our church shuns certain people. And in doing so we are obeying our Lord’s command. This is an example of not only misusing Scripture, but of dealing simplistically with a Bible doctrine that requires far more than a mere five words on a sign. And it is not harmless! Great damage is done by these kinds of foolish statements thrown out at people like cannon shots. The pessimistic realist that I am, I suggest to you that I know what the message is that these sign preachers are throwing at us. “You don’t forgive like Jesus forgives. If you are a real Christian, then you must love your enemies (true). And this means that you must not seek justice for wrongs they have done you, you must strive to maintain relationship with them, and if you don’t do these things then you are not forgiving as Jesus forgives and it is doubtful you are a Christian at all. Yes, Jesus prayed that His Father would forgive those who crucified Him. But a short time before He was put on the cross (see John 17) Jesus specifically said that He was praying for those the Father had given to Him, not for the whole world. Jesus knows His elect. And Jesus’ death on the cross at the hands of these people was an act of redemption and atonement for His own. Jesus, in other words, was unique. To make an across the board simplistic application of Jesus’ prayer for His enemies there on the cross to every single Christian in every single case subsequent to the cross is foolish. 2Th 1:5-10 This is evidence of the righteous judgment of God, that you may be considered worthy of the kingdom of God, for which you are also suffering– (6) since indeed God considers it just to repay with affliction those who afflict you, (7) and to grant relief to you who are afflicted as well as to us, when the Lord Jesus is revealed from heaven with his mighty angels (8) in flaming fire, inflicting vengeance on those who do not know God and on those who do not obey the gospel of our Lord Jesus. (9) They will suffer the punishment of eternal destruction, away from the presence of the Lord and from the glory of his might, (10) when he comes on that day to be glorified in his saints, and to be marveled at among all who have believed, because our testimony to you was believed. We could go on and on. The Lord does not forgive everyone. And yet these signboard preachers throw distortions of Bible truth at car after car motoring up the freeway, insisting that a real Christian forgives everyone no matter what. Offers the worst of them warm hugs and kisses. I ask you, is this what we see Jesus doing in the Gospels? Is this what the Apostles preached and practiced as recorded in The Acts and the Epistles? Of course not. One final point (though I could go on and on). Unsaved people see signs like this and do you know what they conclude? I know unsaved people. I know lots of them. Many are my friends. I know what they would have said if they were in my car when I went past that sign. “Christians are idiots and fools.” And you know what? People who claim to be Christians but who distort and pervert the Word of God like this are fools indeed! Psa 139:21-22 Do I not hate those who hate you, O LORD? And do I not loathe those who rise up against you? (22) I hate them with complete hatred; I count them my enemies.